Cherry MX Brown switches with low activation force and tactile feedback for maximum typing comfort and performance. Award-winning split design that can be adjusted to accomodate all body types and preferences via adjustable split, splay, and tent (tenting accessories sold separately). New cable storage compartment supports up to 20" of separation when you need it. 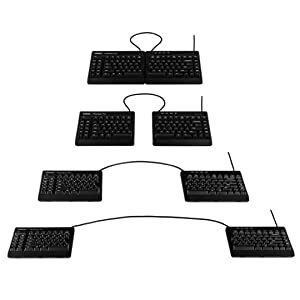 Fully programmable with Kinesis’s all-new SmartSet Programming Engine that allows you to customize the keyboard’s layout without installing any clunky software or special drivers. Remap keys and record macros on-the-fly, or launch the no-install SmartSet App GUI (Windows & Mac) to customize one of 9 layouts. Introducing the new Kinesis Freestyle Pro mechanical, programmable ergonomic keyboard. 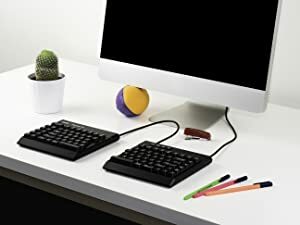 The Freestyle Pro keyboard offers the same advanced ergonomic features as the popular Kinesis Freestyle2, but with the additional benefits of full on-board programmability using our patented SmartSet engine and low-force, tactile Cherry MX brown mechanical key switches. The Freestyle Pro features the familiar QWERTY layout with an "embedded" numeric 10 keypad in and 8 additional hotkeys. Reprogram ANY key on the Pro to build your own custom layout and record dozens of productivity boosting macros. Mechanical key switches provide the ultimate typing feel and Cherry-brand switches are the gold-standard. The MX Brown stem switch is Cherry's most ergonomic offering. 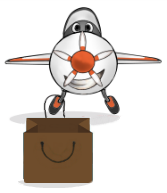 It features a low activation force and tactile feedback to discourage bottoming out on the switch. 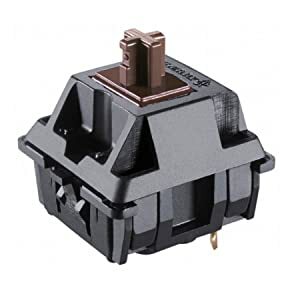 All Cherry MX switches are designed to last for 50M key strokes so you're getting unmatched durability coupled with premium performance. Swap out the 4 interchangeable Mac keycaps (Command x2 and Alt Option x2) and toggle to onboard layout #2 for plug-and-play Mac compatibility. We even built a Mac OS X version of the SmartSet App so you can view and customize layouts and settings from your Macbook or iMac. 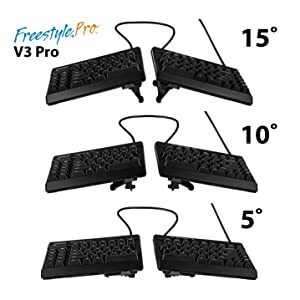 Out of the box, the Freestyle Pro supports up to 12 inches of separation which is more than enough to achieve shoulder-width typing for most individuals. If you need a little bit more room, access the cable compartment for an additional 8 inches of stored cable for an extra wide split to accomodate broad shoulders. Mohon maaf, produk Freestyle Pro Ergonomic Keyboard (Mechanical, Programmable, Adjustable) sementara ini sedang habis.